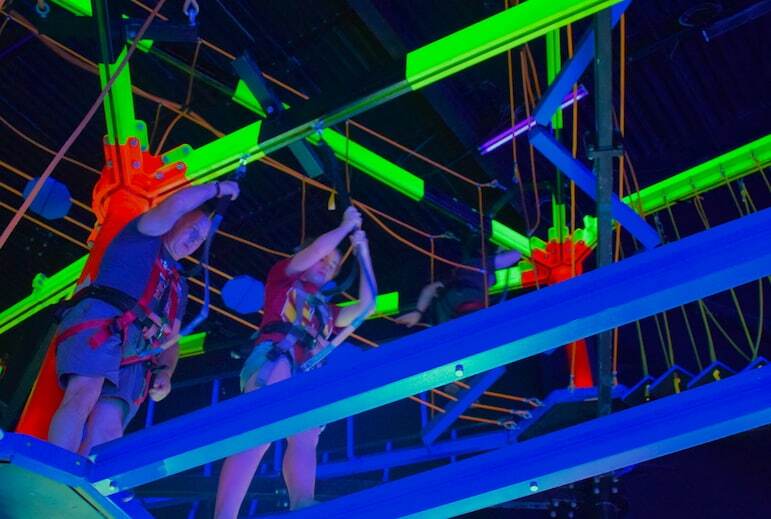 Yes, it’s fabulous for little ones and families but if you scratch beneath the surface there are plenty of things to do in Orlando for adults – both including the world’s most iconic mouse and activities besides the theme parks. However, if there’s one thing you need to do, it’s to fit in some relaxation time in between exploring the renowned Florida theme parks. 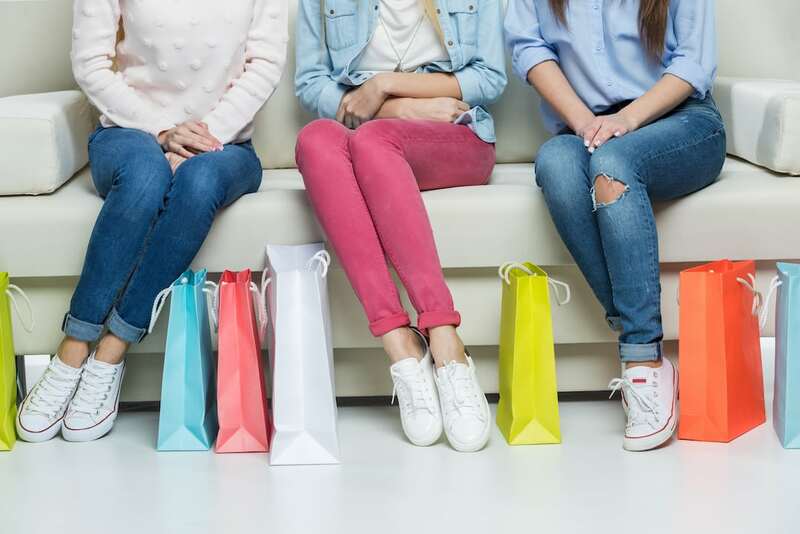 Whether it’s a bit of pool time, exploring the great outdoors or going wild in the outlet malls, shopping for a new wardrobe, you’ll be spoiled for choice in Orlando with options to suit every holiday mood. 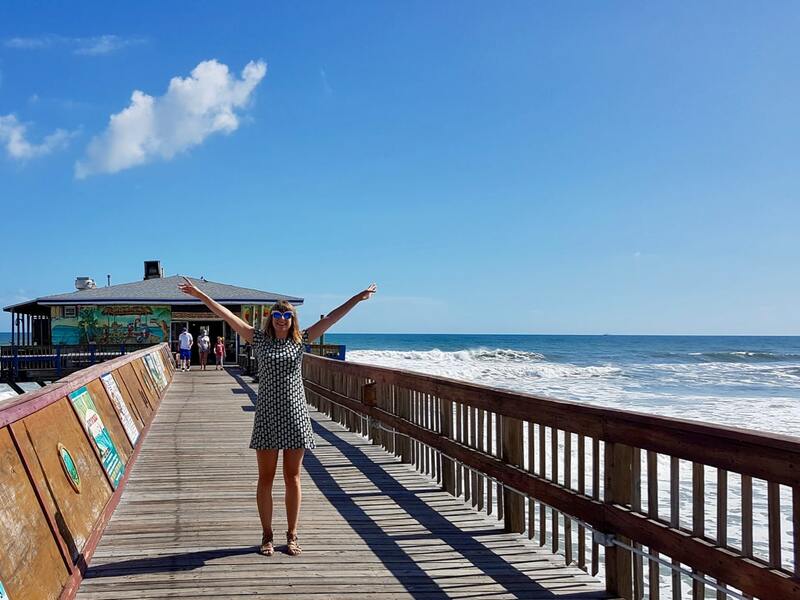 Here is a selection of the best things to see and do in Orlando, drawing on my own recent trip there as well as my other experiences over the years of enjoying the best attractions Orlando has for adults. 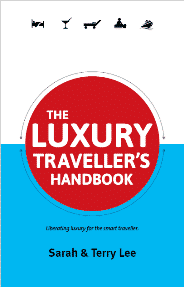 And if you’re looking for more tips for luxury for less in Orlando, don’t forget to check out our nine tips to ensure you can travel lavishly without the extortionate price tag. 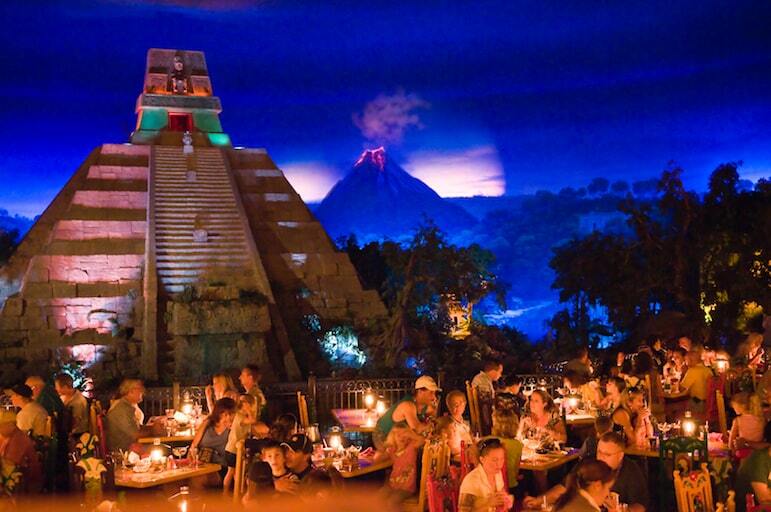 If you think that the parks are just for the younger ones or you’re not keen on adrenaline-rush rides, there is actually a whole host of things to do besides the theme parks rides. Here are some ideas to get you started. Despite all of their adult-focused entertainment touches, of all the parks, I personally believe that Universal Studios feels like the most grown-up. With blockbuster rides from movies such as The Mummy and The Fast and the Furious, it doesn’t have that child-like feel that some of the other parks ooze. 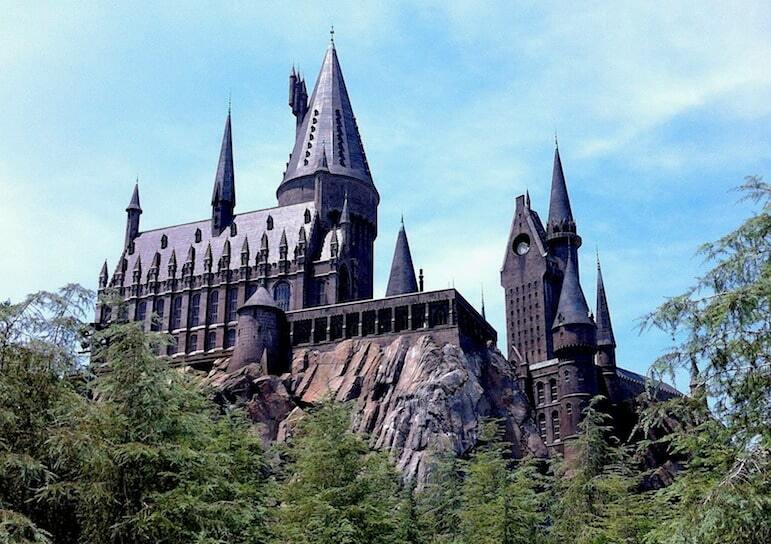 It’s action-packed, loud and brash, and of course home to Harry Potter. Now, I must confess, I have never watched one of the wizarding films from start to finish. 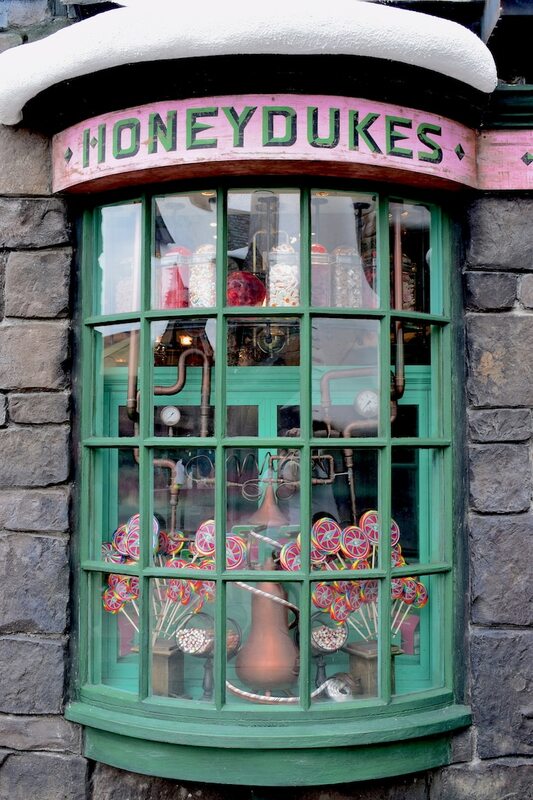 But I have to say, experiencing the Orlando film set reproduction of Diagon Alley, Hogsmeade Village and the Hogwart’s Express, did pique my interest. 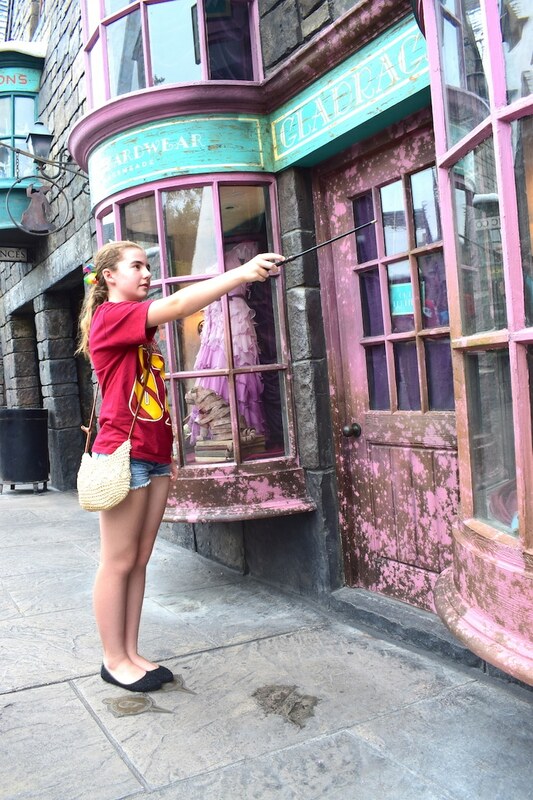 We visited Ollivander’s Wand Shop, and watching my stepdaughter Jessica trying out her wand in the interactive ‘magic’ windows was so much fun, and waiting to see what kind of wizardry would be presented to us. 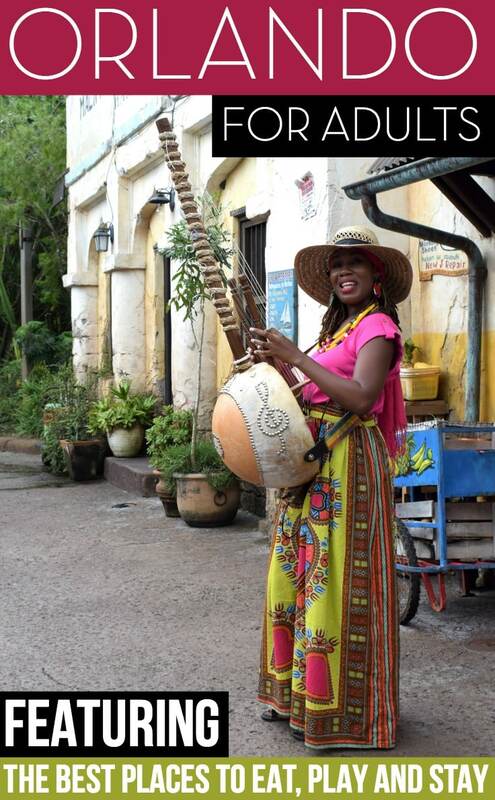 Disney’s Hollywood Studios and Universal Studios are made for adults as they celebrate the very best of the movie and entertainment industry. 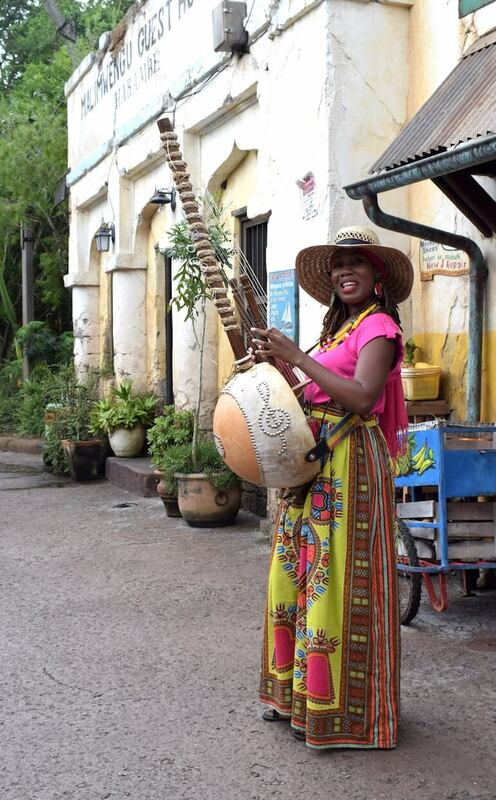 Street shows dotted around the park throughout the day make a great pitstop and keep your spirits high when you’re trekking between attractions. 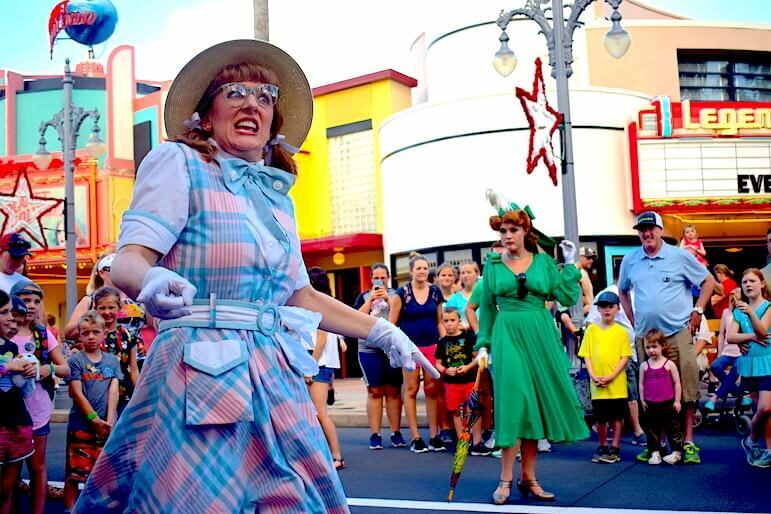 At Hollywood Studios, the Streetmosphere pop-up performances during our visit included Citizens of Hollywood on Hollywood Boulevard which kicked off as we trundled towards the iconic Tower of Terror Ride. Cast members act out scenes set in the silver screen days of Hollywood and the stunning vintage outfits themselves managed to create a show all of their own. Every visit to Universal Studios, I’ll always shake my tail feather for a musical performance by the Blues Brothers, while the Animal Kingdom is great for cultural immersion, you really feel like your’s visiting a different country, with the likes of African acrobatics and music, and so much more to break up your day and lift your spirits in the early afternoon when the Floridian heat beats down on you (even in October). As I eagerly watched these street shows like many others over the years since a teen, it suddenly dawned on me just how these actors use subtle and effortless ways to capture the attention of both adults and the younger ones on different levels. Carefully phrased innuendo is thrown in for the adults, while the children engage with humour and slapstick scenes. 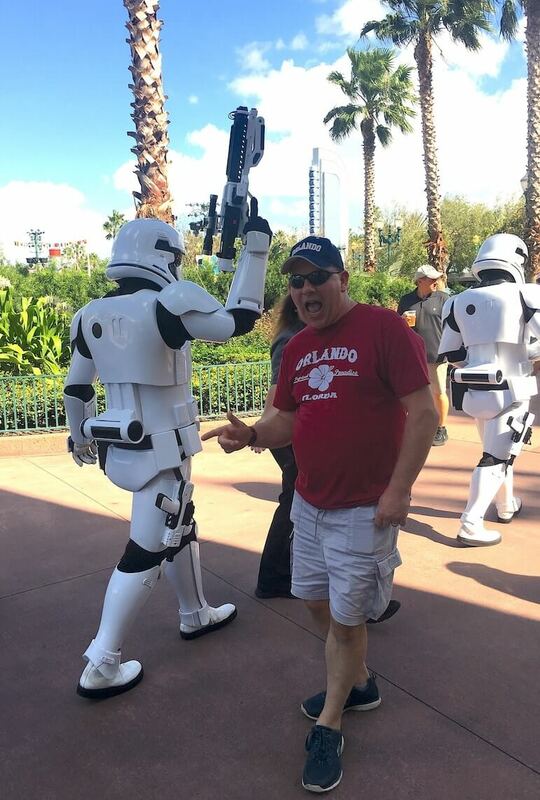 It was only upon visiting Orlando with my husband Peter for the first time last year, that I realised what a huge Star Wars fan he is. And it’s incredible how Disney can turn the adults we are into big kids – as we had to board the Star Tours ride twice so he could get his sci-fi fix. And evidently it’s not just him, as with massive expansion plans afoot, which now includes a night-time show, it’s the ideal nostalgia for a childhood gone by, and we have since had to purchase the whole back catalogue of movies to prolong Peter’s trip down memory lane. I feel that EPCOT is a perfect park in Orlando for adults when there are special events and celebrations going on. Back in 2008, I visited with friends as part of the St Patrick’s Day celebrations and all the pomp and ceremony was in full swing at the Rose and Crown pub in the UK section of the park. Fast forward ten years and the park now has a great reputation for its food and wine festivals, flower and garden events and also for mini cocktail crawls – drinking sensibly, of course, as it is a theme park for families. Libations to try out include the Leaping Leprechaun which is a mix of whisky, rum, vodka, melon liqueur and lemonade for a refreshing zesty drink, while fans of the margarita should head over to Mexico at the outdoor bar Chosa de Margarita and the Fiesta Margarita comes highly recommended with its strawberry, mango and lime frozen fusion. The ICON Orlando 360 is an 18-acre entertainment complex that is home to the 400-foot high landmark, the ICON Orlando. Visible for miles around the ICON Orlando is the biggest observation wheel on the East Coast of the USA, and visitors to it get fabulous views over central Florida. The ICON Orlando 360 complex also houses a variety of attractions including the Sea Life Aquarium, Madame Tussauds, Orlando StarFlyer (a huge swing ride, 425 feet above the ground) and 7D Dark Ride Adventure. There is also a host of excellent restaurants, bars and cafes and great shopping. As you wander around the site you’ll cine across live entertainment, various vendors, even fountains with choreographed water displays. However, the centrepiece is the ICON Orlando. All its capsules have wi-fi and customised immersive experiences allowing guests the opportunity to personalise their flight. It’s possible to hire a private party capsule with complimentary beer/wine and a private bartender for up to ten guests. Guest can also upgrade to a second rotation and enjoy the flight for a little longer. Later this year, the ICON Orlando will have an enhanced synchronised nightly display incorporating the courtyard fountains. ICON Orlando Admission prices start from Adults: £18 / Children: £13. British visitors can buy tickets for ICON Orlando before they leave the UK through Attraction Tickets; Floridatix and Orlando Attraction Tickets. 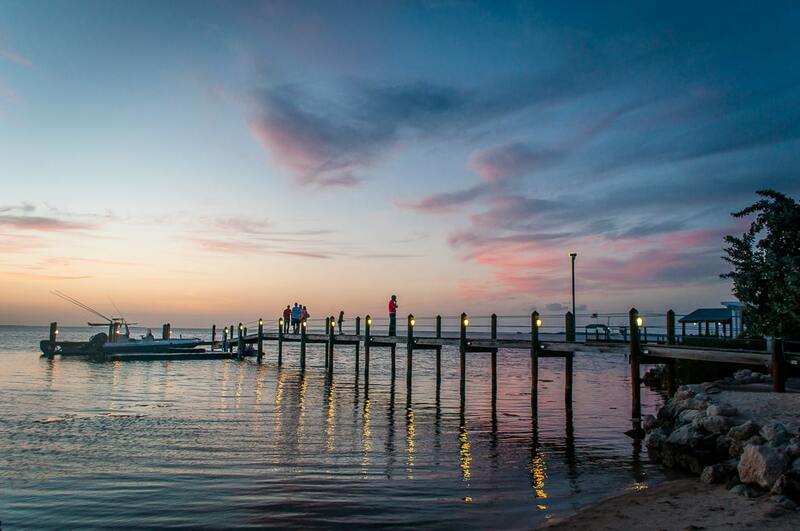 Florida is a haven for the great outdoors and encounters with nature. 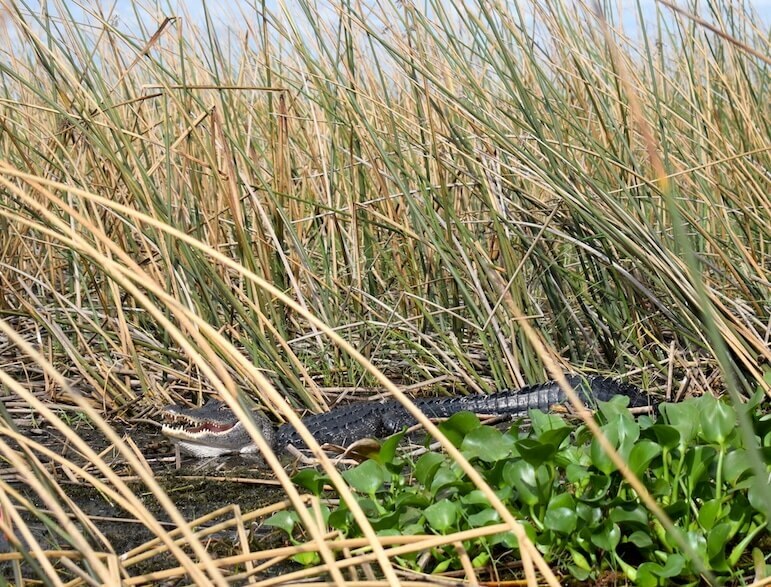 To experience some more relaxed thrills and a little bit of cultural education thrown in too, Boggy Creek Airboat Adventures makes a great morning out in between the action. 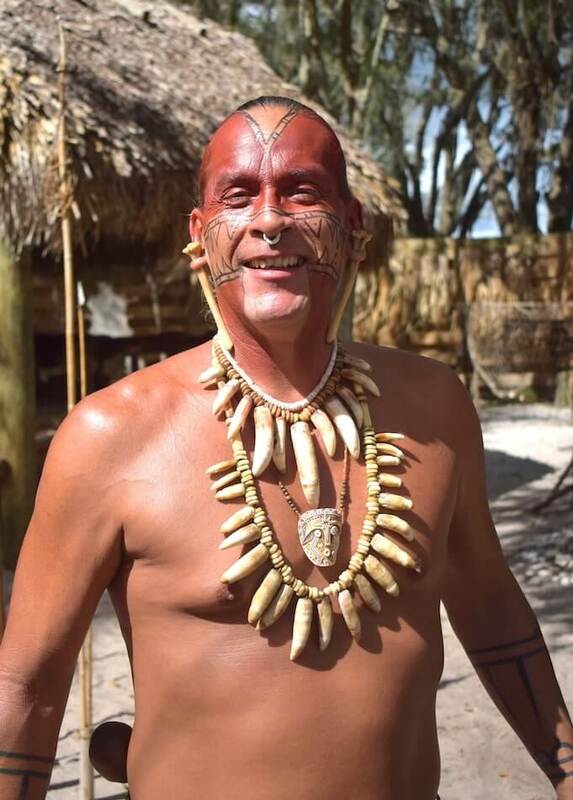 Despite being on the Orlando attractions map for decades, Boggy Creek has expanded to include a Native American Village, fun for the little ones with a fossil and gem mine, and the BBQ restaurant overlooking Lake Tohopekaliga which are great ways to top and tail your airboat adventure. Before we boarded, I enjoyed learning about the ways of life in central Florida as a Native American. 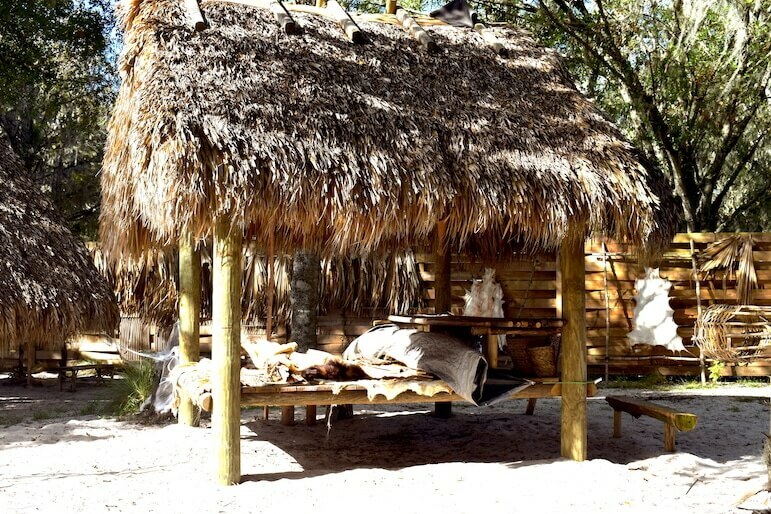 The outdoor exhibition space displayed a fascinating range of artefacts with Chickee huts and handmade creations for hunting and fishing to thrive and survive as part of a primitive way of life. Dressed in traditional regalia, our guide was so passionate, knowledgeable and his humour made the perfect combination to engage the young and old with learning about history and different cultures. As much as we could have chatted to him for hours it was time to board our boat for our morning expedition. First thing in the morning is the best time for the chance to spot birdlife and alligators in their natural habitat. The roar of the engine as we set off at 45mph fuelled our anticipation for being able to spot the steely-eyed predators between the marshes. The beauty of nature is there is no guarantee that you will spot the wildlife you’re in search of, they can be just as aloof as us humans. But fortunately nature was on our side and we spotted four gators basking in the sun as well as numerous winged species. I’ve always wondered why gators can be seen basking with their mouths open, and I discovered on our tour that as they are cold blooded it is a way of regulating their body temperature. The airboat guides here have been navigating the marshes here for years and you’ll discover so many fun facts about these bizarre creatures during your tour. For example, the average American alligator is 13 foot long, but one has been spotted here on the lake at a mighty 20 foot long! It’s the perfect place to revel in the great outdoors, besides the theme parks which have more manufactured spaces. 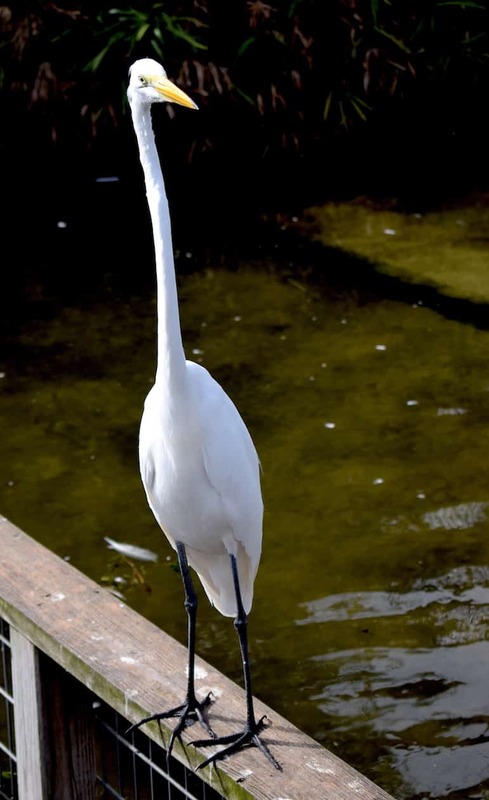 What’s more, this natural area of Orlando is actually the headwaters to the Everglades National Park, so if you don’t get the chance to experience the wetlands of South Florida, this is a great way to tick it off the list in a roundabout way. 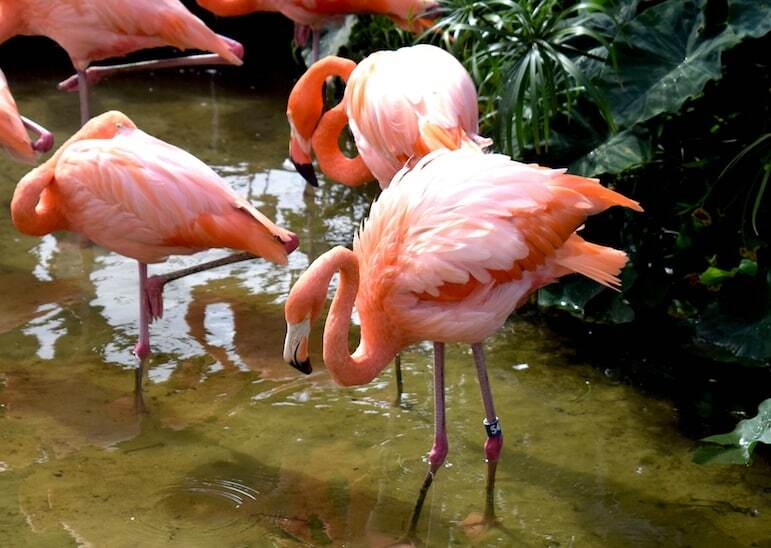 Something that will also become apparent during your Orlando experience, is the abundant range of wildlife you will see everywhere, not just the theme parks. With so many lakes and the notoriously sunny weather, it’s unsurprising that the region will attract many a feathered friend – both permanent residents and those just passing through. Sadly we didn’t have much time to grab any food at the Boggy Bottom BBQ restaurant but all in all, the experience would easily make a fun half-day out. I could wax lyrical about the branded bargains I have purchased in Orlando, but for the full experience from malls to outlets this post pretty much sums it up for where to go for Disney to designer goods. For some of us as adults – and I’m in this group – we have an uncanny way of forgetting elements of our school days, and science is usually one of those areas. 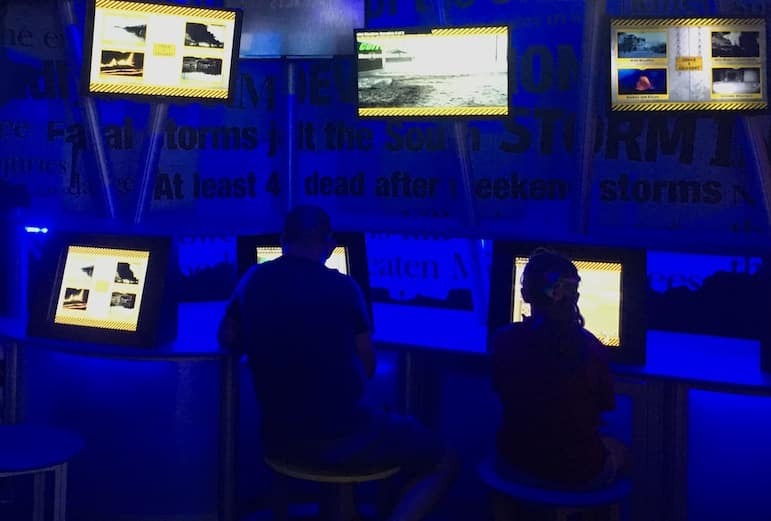 Wonderworks Orlando (look out for the upside down lab building on International Drive) features more than 100 hands-on exhibits which present learning in a fun way. It’s mainly aimed at children, but it certainly has the ability to be one of those guilty pleasures that allows you to relive your school days and let your imagination run away with you. Experience the force of a tornado, see how long you can withstand sub-zero temperature water (turns out not that long for me!) and try out the indoor ropes challenge (I left that to Peter and Jessica due to fear of heights and because a dress is definitely not the best thing to wear for this activity!). Visit in the afternoon and book on for the Outta Control Magic Comedy Dinner Show which is the perfect laidback start to your evening. It’s a family-friendly attraction with audience participation required, but we soon found ourselves getting into the fun and camaraderie of the show as our magician wowed us with some clever tricks. Again the humour element was executed in such a way that would go over younger one’s heads but would give the grown-ups a good giggle as we all made full use of unlimited drinks and pizza. And my on-stage debut as a magician’s assistant had finally arrived, as Nathan Coe Marsh ushered me on stage for a pistol trick whereby Nathan claimed he could catch a cap which I was to shoot through a piece of paper between his teeth. Now anyone that knows me will attest that I am one of life’s clumsy people. Even I was not entirely convinced I could pull this off – not even my own family as they had to look the other way. 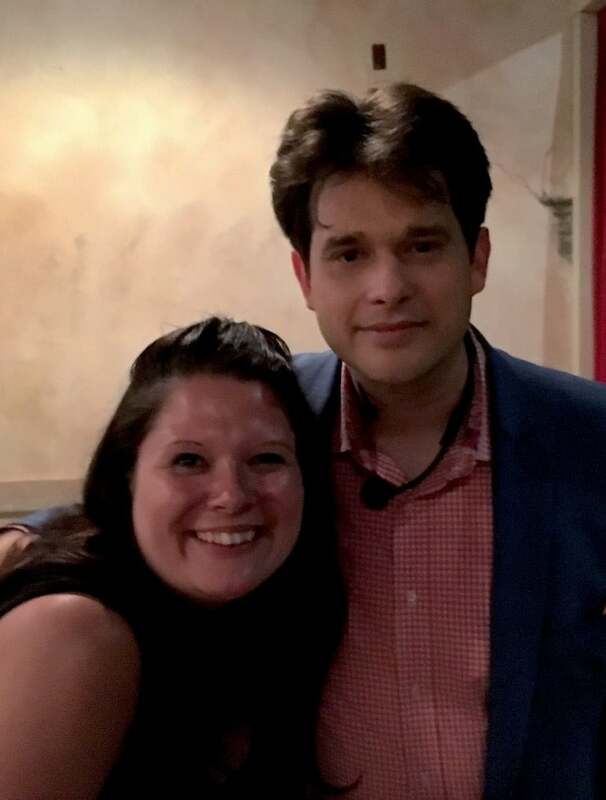 Without giving too much away, it all ended well and it was quite the foolproof magic trick, but rather than rapturous applause I think the crowd were clapping with relief that I did not injure Nathan who had a run of shows in Orlando that week – as well as a residency in Las Vegas – so the risks were high! After all the drama of our comedy show, another evening we headed on over to Old Town in Kissimmee, along the US-192. 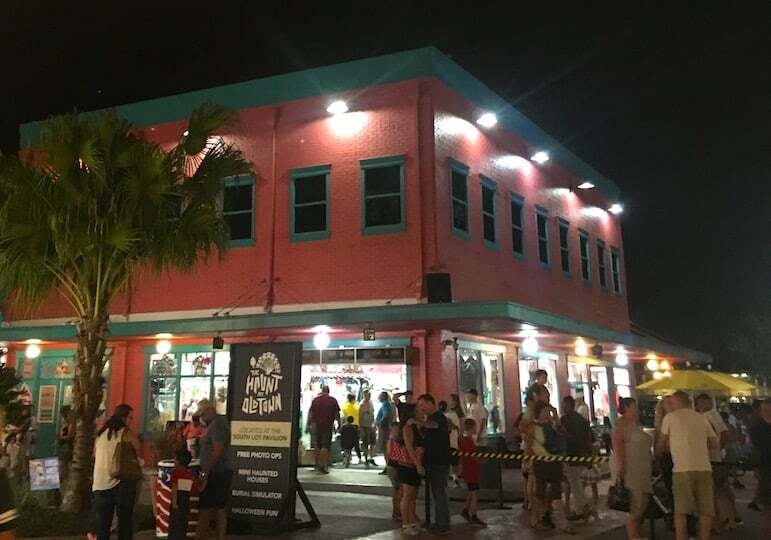 Set out like old-style Florida, the area is chock full of souvenir shops, bars, eateries, a haunted house attraction and a diverse entertainment and events calendar including car shows, bands and line dancing events. 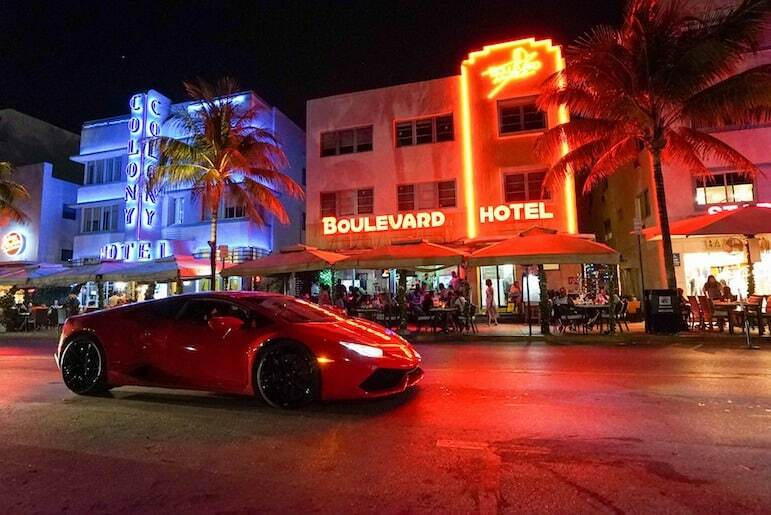 The Saturday night classic car show and cruise will entertain the petrol heads as all manner of American cars tour the circuit, and as one of the longest running weekly car shows in the US, it’s one you won’t want to miss. Cars arrive at 1pm, with the main cruise after 8pm so you can easily plan half a day here, especially with the Fun Spot America attraction next door with amusement arcades and rides. With so many travel providers out there, knowing who to book your Orlando Florida holiday with can be something of a chore. And that’s before you’ve factored in your Orlando theme park tickets. Virgin Orlando holidays are one of the most popular choices offering everything from Disney hotels and Universal Orlando holidays to self-catering villas and boutique hotels which are ideal for adults holidays. But that’s not to say that in Orlando Disney holidays are purely for child’s play, Hotels at Disney for adults are fast gaining a reputation for their high levels of luxury for couples. See some of our top Orlando hotels for adults below. Another leading option is British Airways Orlando holidays, who offer budget, mid-range and luxury options for all types of traveller, and also sell fly-drive packages with Avis car hire. Or if you want to see more of the Sunshine State you can also plan a multi-centre holiday to add on a few days in Tampa, Miami and other city stops. 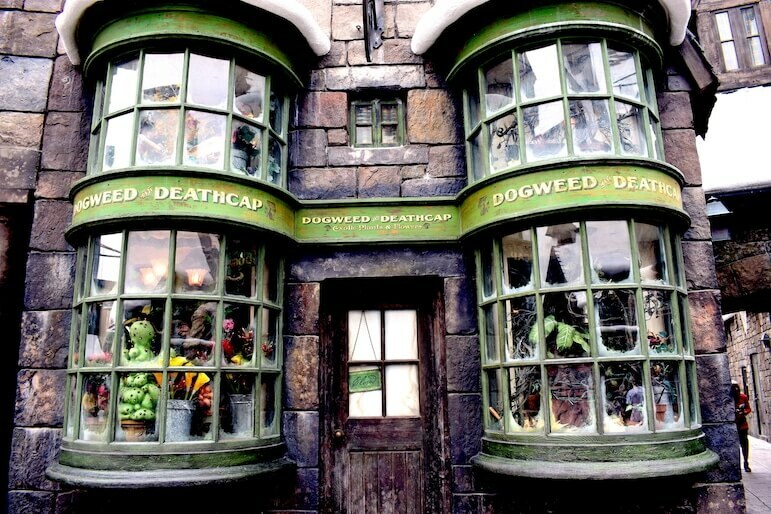 Once you have your flights and accommodation, selecting the best Florida theme park tickets can be quite the task with a gamut of ticket sellers offering a range of different packages and freebies, but if you live in the UK, you should seriously consider booking your Orlando park tickets before you travel to maximise value. American Attractions Collection offers a range of local Orlando attraction tickets which is ideal if you’re skipping the parks and looking for something unique. As well as the airboat rides, Wonderworks and the Outta Control Magic Comedy Dinner Show, they also offer hot air balloon rides, off-road driving experiences and loads more to give you new ways to discover Orlando for adults. Some ticket providers will throw in a VIP dining card, and I found that the savings really do add up. 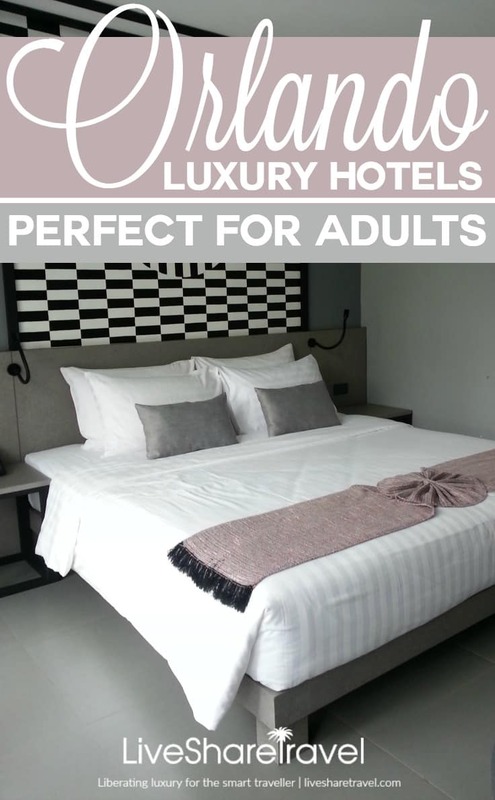 During our stay, we would start the morning with either breakfast at the villa or fill up at an all-you-can-eat budget restaurant to save some spends to dine somewhere more exclusive at night. And using our dining card meant that we could fill up on food and unlimited coffee for just £7 each and skip lunch, and there were lots of healthy food options too. With there being an overwhelming number of restaurants, you can pretty much guess that there won’t be too many problems with finding hotels in Orlando for adults which cater to all budgets and tastes. In previous years we have found that a self-catering villa with a pool is more cost effective for groups and is perfect for relaxing in between all the attractions action, but equally, hotels have their own merits with a range of onsite facilities to ensure you don’t need to lift a finger. Four Seasons Resort Orlando at WDW Resort – If you want to feel pampered in between your outdoor adventures, the indulgent spa, dedicated service and lazy river are just a few of the features to boost the chill factor. Magic Village Resort Orlando – With a selection of three- and four-bedroom condos, and some with barbecues and whirlpools, the chic surroundings of these modern condos are perfect for adults breaks, and there’s an on-site Italian-Brazilian restaurant if you don’t fancy making use of your fully equipped kitchen. The Alfond Inn – Located in the prestigious Winter Park area, if you’re looking to escape the theme parks, The Alfond Inn is close to the boutique shops on Park Avenue and the full range of facilities and spacious rooms make this hotel a popular option for couples. Castle Hotel, Autograph Collection – This castle-like hotel makes an adult alternative to Magic Kingdom’s version and the unique interiors of this hotel are something to admire. With a tapas-style cafe and a bistro, comfy beds and great coffee, it’s the perfect base for a restful holiday. 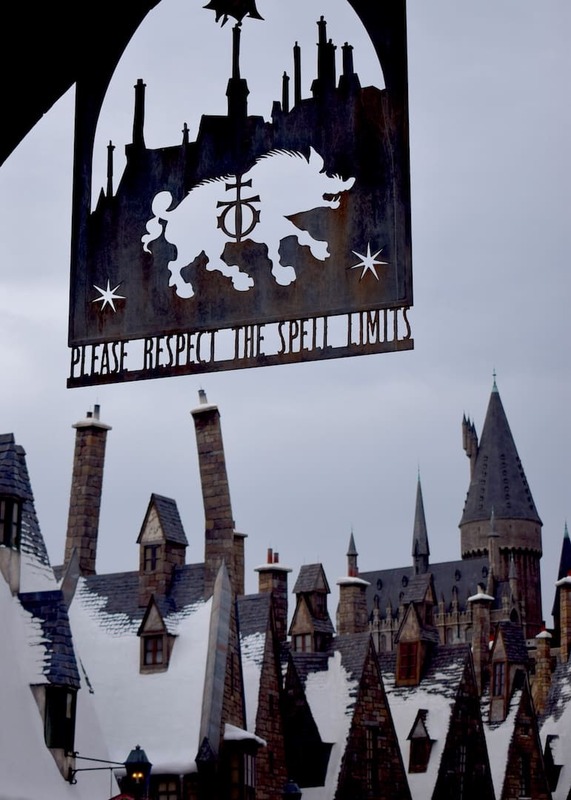 Universal’s Loews Sapphire Falls Resort – If you’re an avid Harry Potter fan, this resort offers early admission into the Wizarding World of Harry Potter™ and Universal’s Volcano Bay™, an hour before main opening times so you can beat the crowds. Ritz Carlton Orlando, Grande Lakes – With an 18-hole golf course, a huge spa, on-site hiking trails, kayaking, an evening lounge perfect for cocktails at sundown, and 11 restaurants to choose from, you could easily while away days here without getting bored. 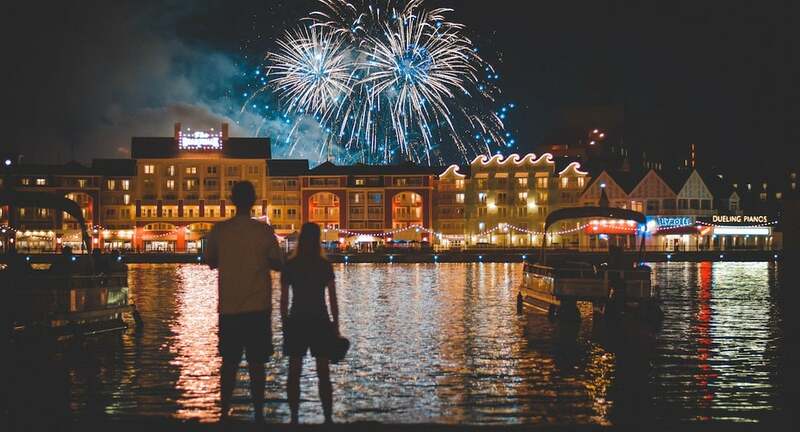 If it’s your first visit to Orlando, you’ll be amazed by the overwhelming number of restaurants in Orlando for adults, couples, friends and family – eateries here are not only diverse in theme and dishes, but they can cater to all kinds of holidaymaker – you just need to know where to look. The US-192 runs west to east in Orlando, and awash with neon signs promoting a variety of restaurants from Japanese steakhouses to Italian Ristorantes, whatever you’re feeling at the time, there is somewhere along this stretch that will satisfy your needs. If you’re staying north of here, I-Drive is a similar affair. Here are some tried and tested eateries, along with some other ones we’ve added to the list for next time. 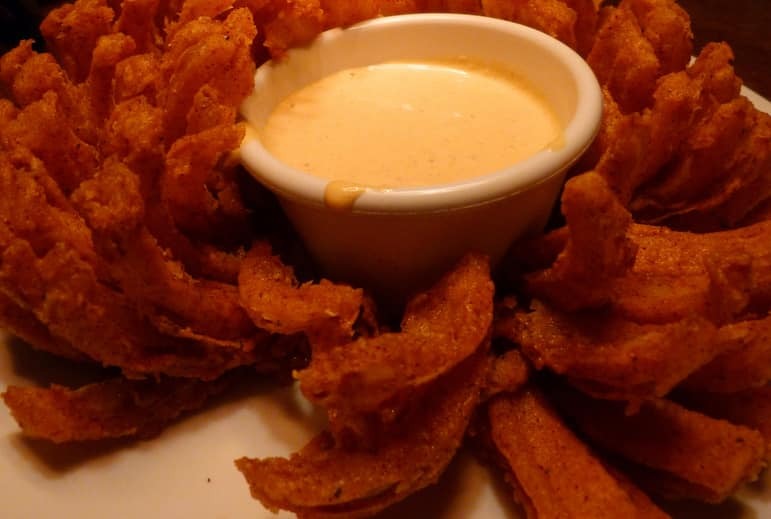 Outback Steakhouse – An Australian themed chain of restaurants in the US, I returned here time and again not only for the succulent steak offerings and their signature potato soup and Bloomin’ Onion sharer but also the fantastic service. On our first ever dining experience here many years ago, we were served by Mark, and his service was stellar and the best I have ever encountered. We wanted to send some postcards back home and were enquiring about the local post office, but he volunteered to post them for us – now that’s going above and beyond. Ever since then, we always make a reservation here and we have never been disappointed by the food. Just save room for one of their delectable range of desserts, you may want to skip lunch that day! 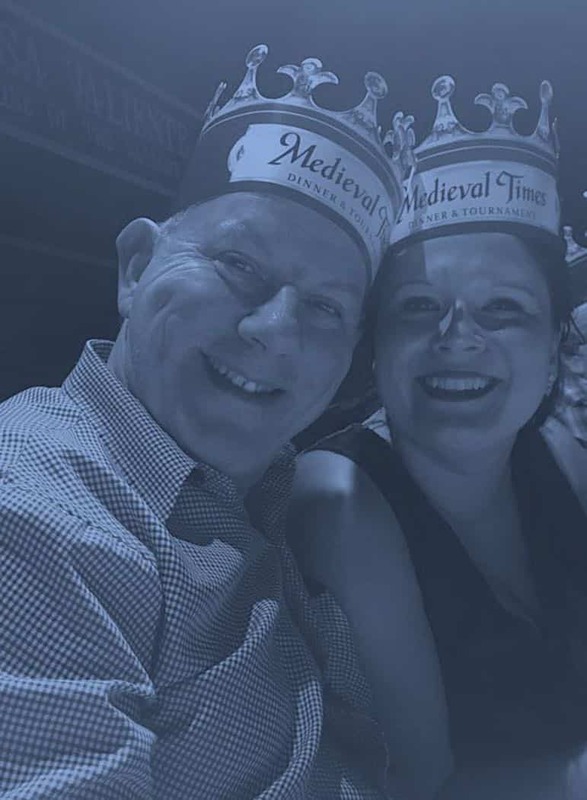 Medieval Times – There are a few different dinner shows in Orlando, and Medieval Times is one of the most popular. The theatre is set out like a castle, and while you enjoy pre-dinner drinks in the Hall of Arms bar, entertainers dressed as knights mill around to entertain the crowds. Then begins the pageantry and excitement when you enter the arena to watch the spectacular equestrian skills of the knights as they compete on horseback to join the Knights of the Realm under the order of the King. 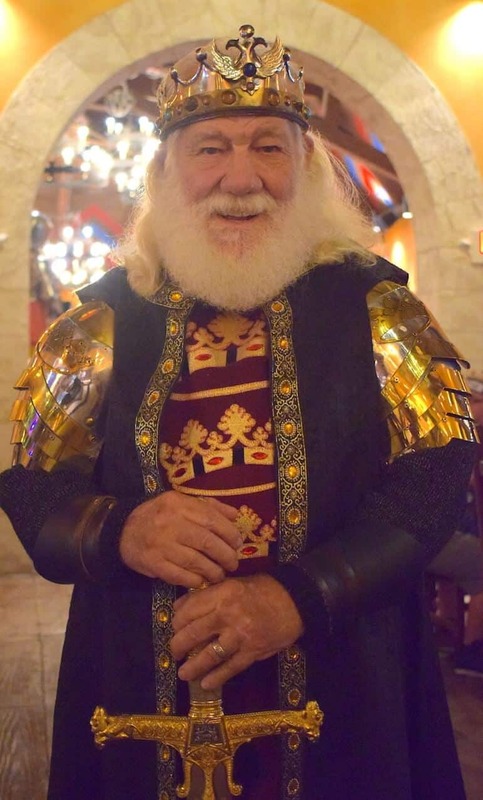 A four-course meal is served Medieval style, and while it’s by no means five-star gourmet food, it all adds to the authenticity of the experience. A few top tips, arrive at least an hour before the show so you can tour the Medieval Village which displays a range of exhibits from the time, and you’ll also get to see the majestic falcon who becomes part of the main show. Finally, order some drinks at the bar to take into the arena. These shows are extremely popular and so it can take time for your server (known as wenches to keep with the theme) to make their way round to you. The Ravenous Pig – Located in the prestigious Winter Park area, The Ravenous Pig serves up typical restaurant fare but with a unique twist such as steak with truffle fries, and tea brined smoked chicken. The restaurant has earned critical acclaim from mainstream US media, so it’s worth making a reservation here for your Orlando adults holiday. Try and time it for one of the chef collaboration dinner series for a multi-course dinner where leading chefs flex their culinary flair. Plus there is a brewery on site to enjoy a pre-dinner flight of beers. 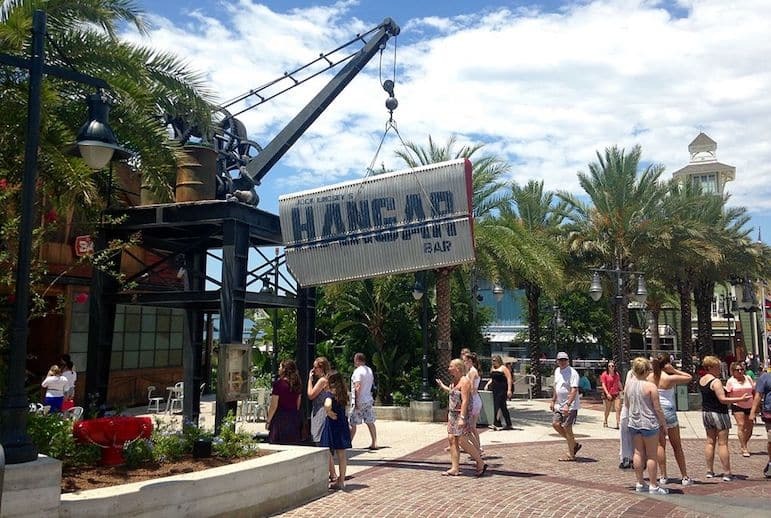 Jock Lindsay’s Hangar Bar – If you have an eye for detail and love your adventure or travel-themed interiors, this Indiana Jones-themed bar is a must-visit. The rugged charm of the surroundings including spare airplane parts and dusty memorabilia will unleash your curiosity as you sip on the bars signature libations including the Bedtime Story with ginger, iced tea, vodka, hibiscus flower and lemon notes or their mojitos with a twist – which some patrons have acclaimed as the best mojito they have ever had. The Edison – While we’ve not tried this one personally, we are loving the industrial steampunk style interiors of this restaurant at Disney Springs (formerly known as Downtown Disney). Spend some time shopping in the area before enjoying an early dinner, with specialities including old-fashioned meatloaf, pork with caviar rice in an apple jus and for the final round, a black cherry cream shake for that sugar fix. At 10pm, the restaurant is transformed into an adults-only cabaret with live musicians, flapper-style dancers, aerialists and a DJ providing entertainment into the early hours. House of Blues – If you eat anywhere on a Sunday, make it at the Gospel Brunch at House of Blues and prebook your tickets online for the 10.30am or 1pm session for performances from local gospel groups and a bottomless brunch. Something that Orlando does well is having the ability to mix dining and entertainment and House of Blues epitomises this. They also have regular sets from world-famous stars so it’s worth checking in to see what’s going on before your travel. Heading off on holiday to Orlando? You have plenty of options from UK airports. Orlando Sanford and Orlando International airports are less than a 30-minute drive from the centre of Orlando. You can find direct flights from the following UK airports, with a flight time of approximately nine hours to travel to Orlando: London Gatwick, London Heathrow, Bristol, Cardiff, Birmingham, Nottingham, Leeds, Manchester, Newcastle, Edinburgh and Glasgow. The main airlines flying to Orlando are British Airways, Virgin Atlantic, Aer Lingus, American Airlines, Thomson Airways, Norwegian and Air France.